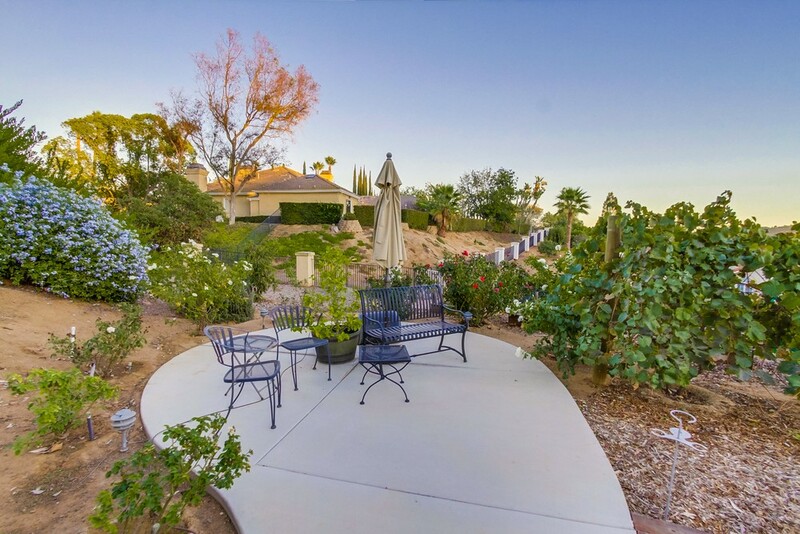 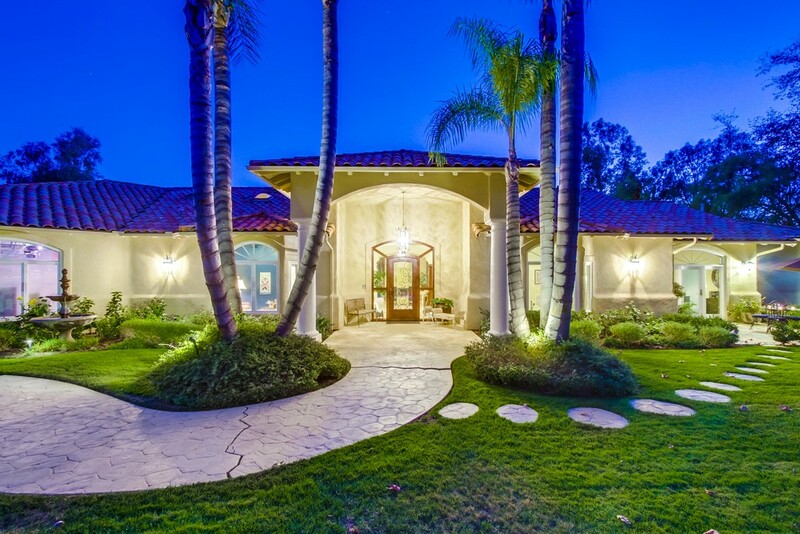 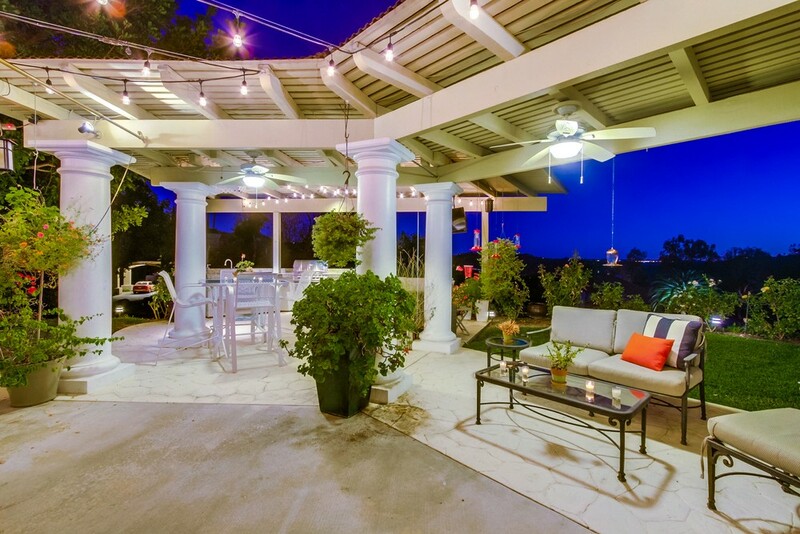 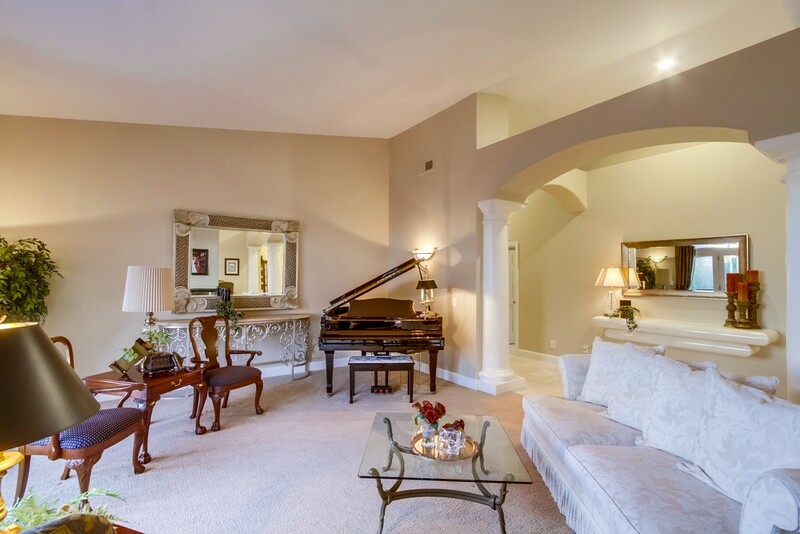 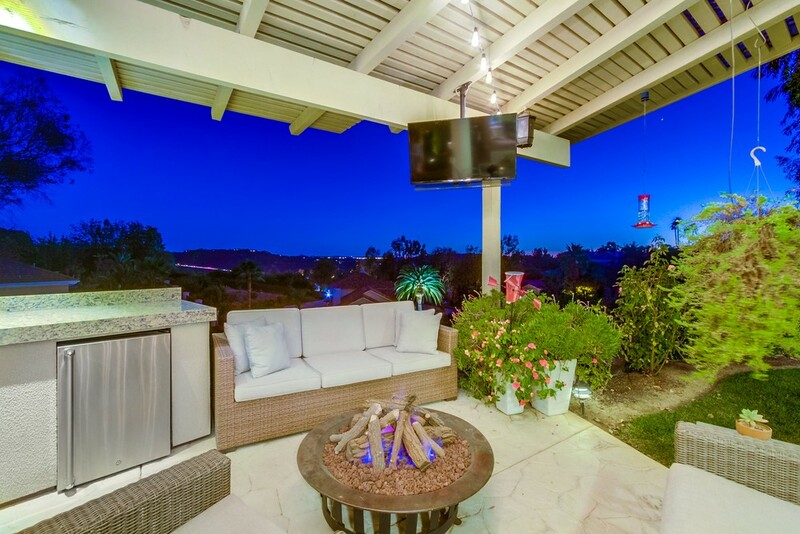 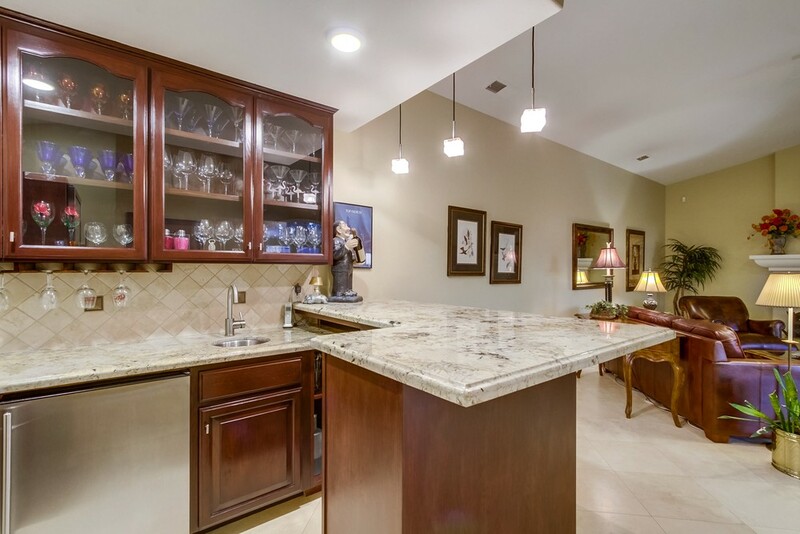 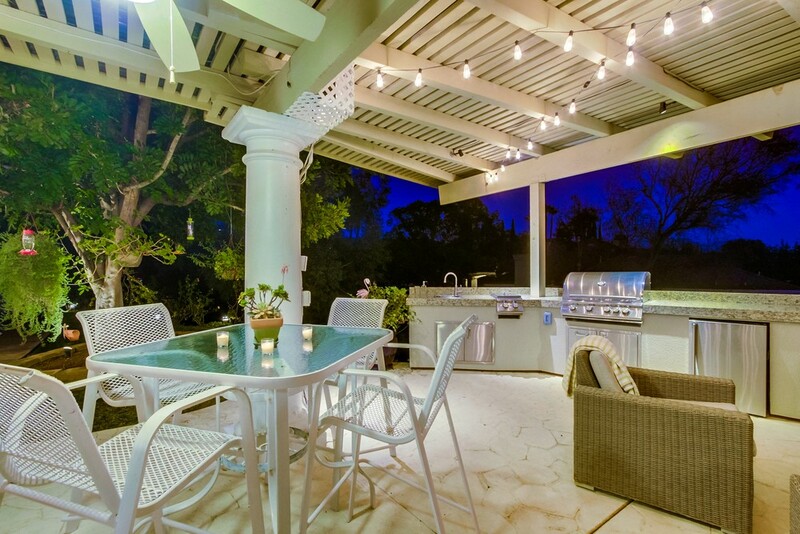 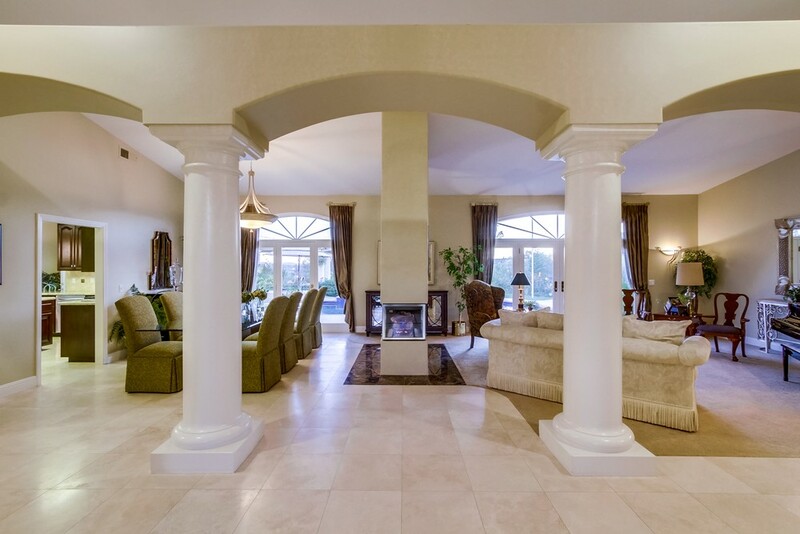 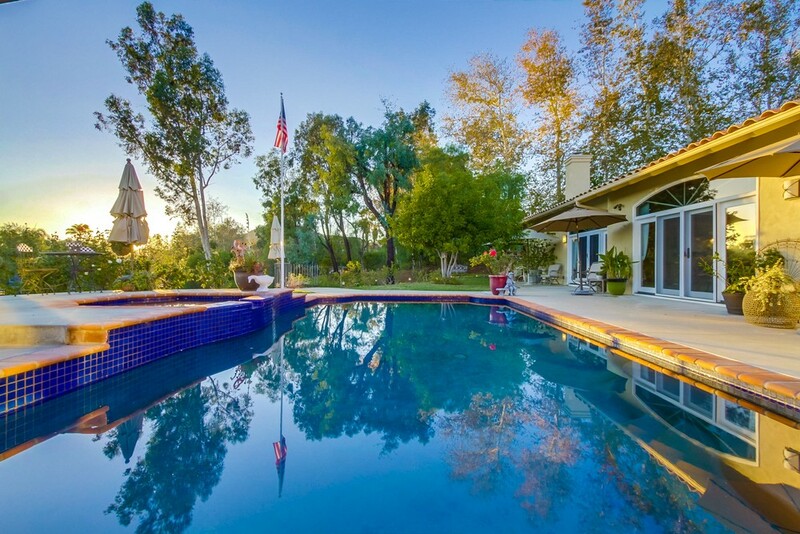 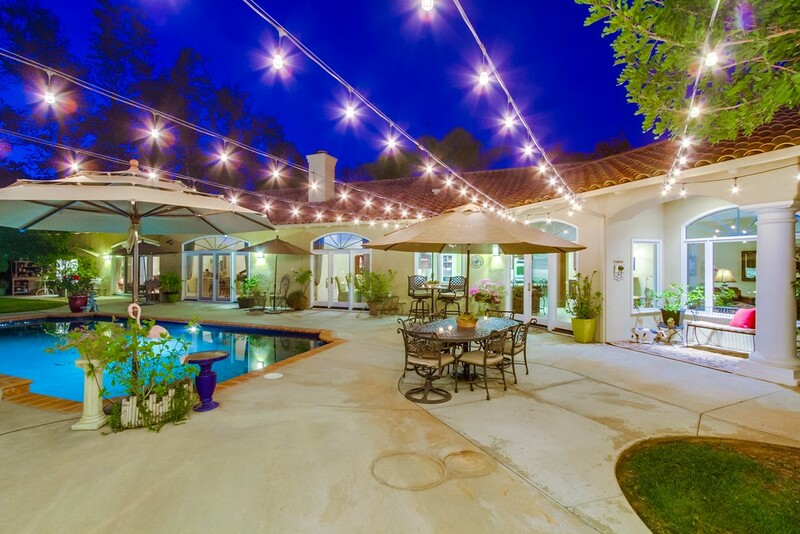 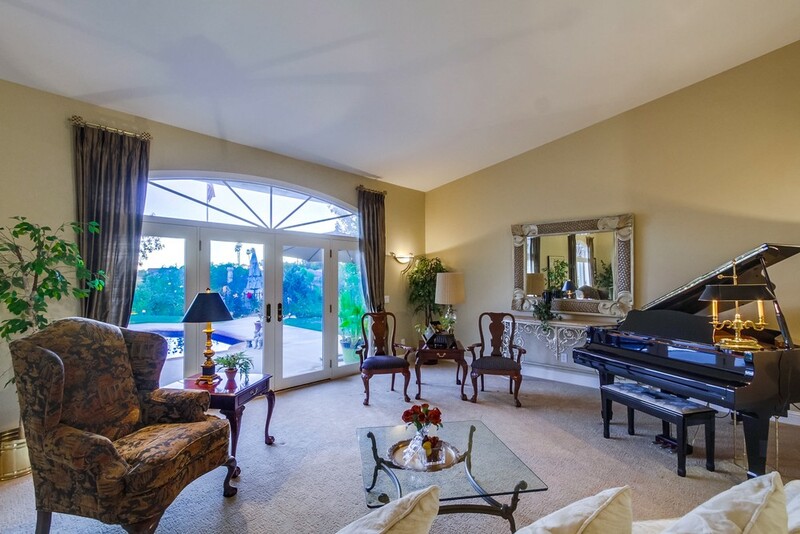 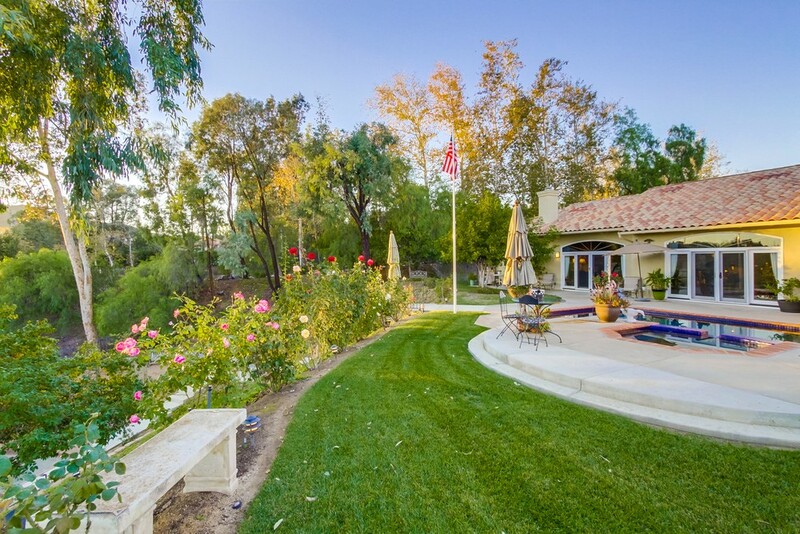 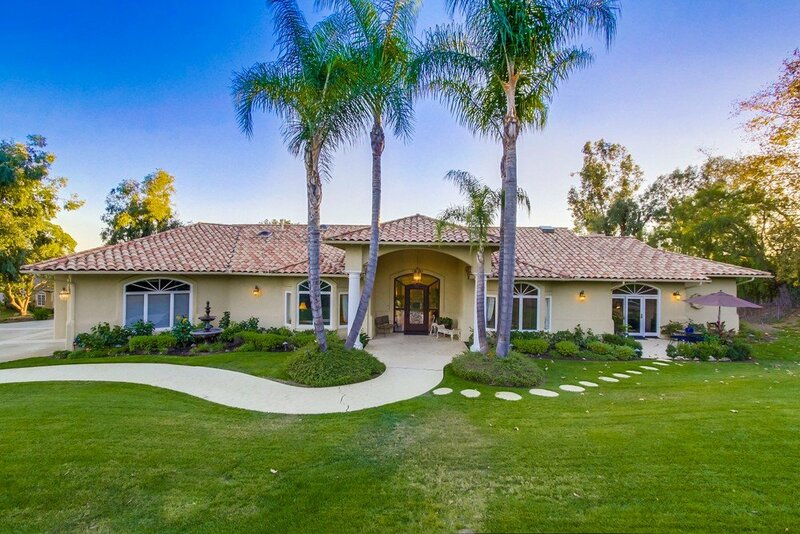 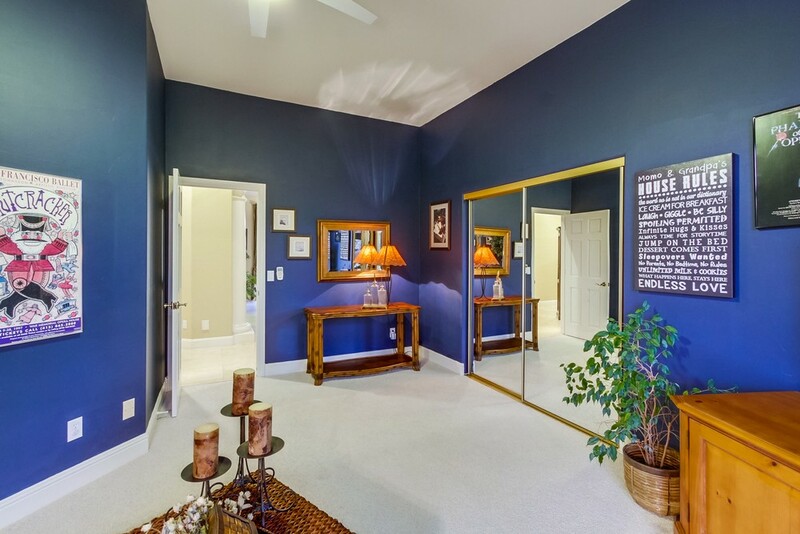 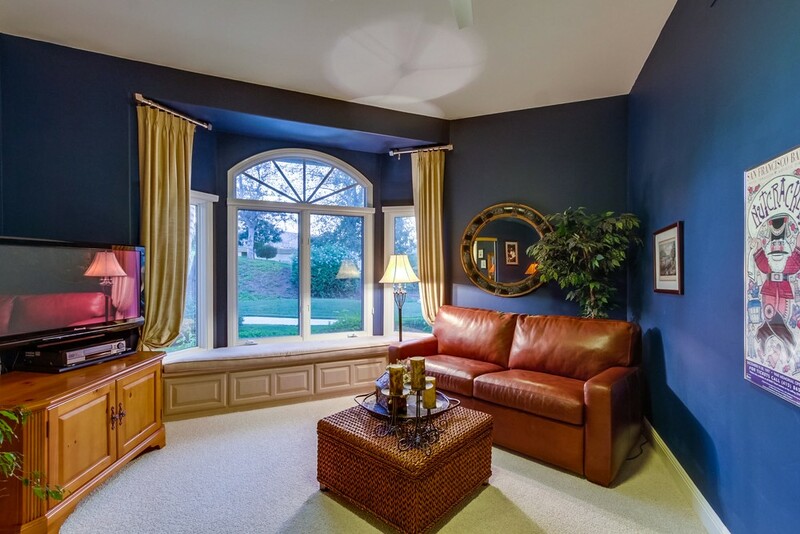 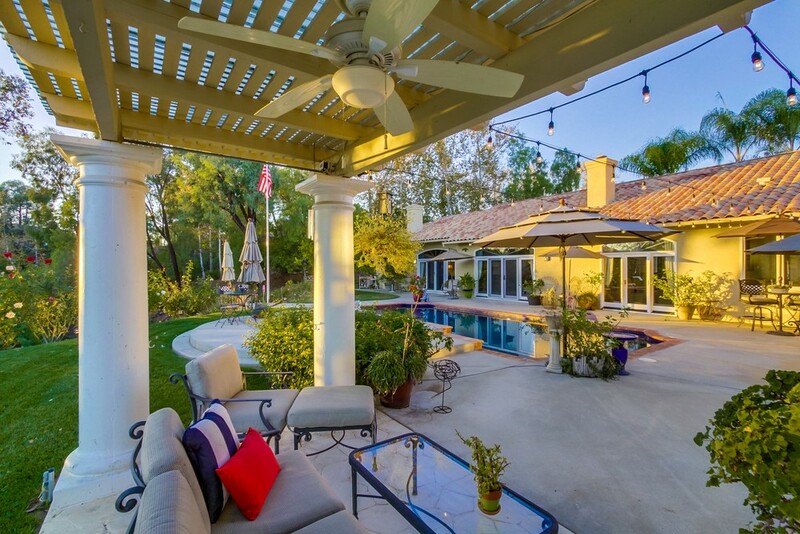 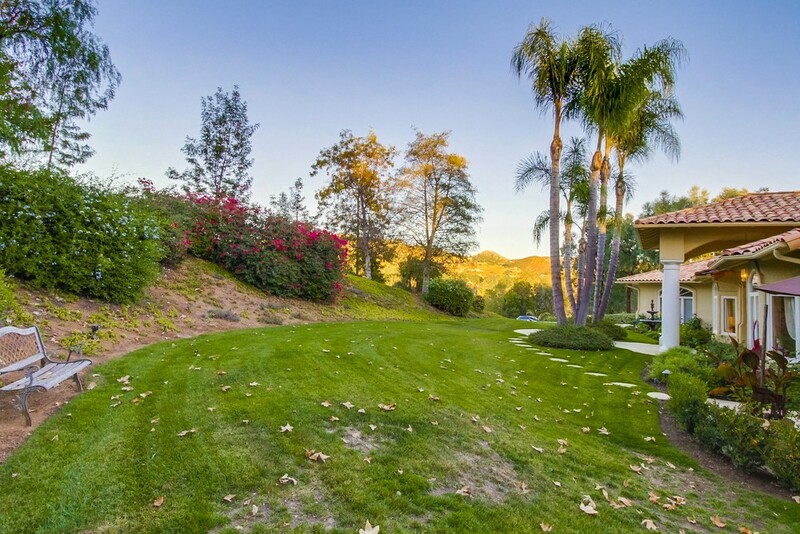 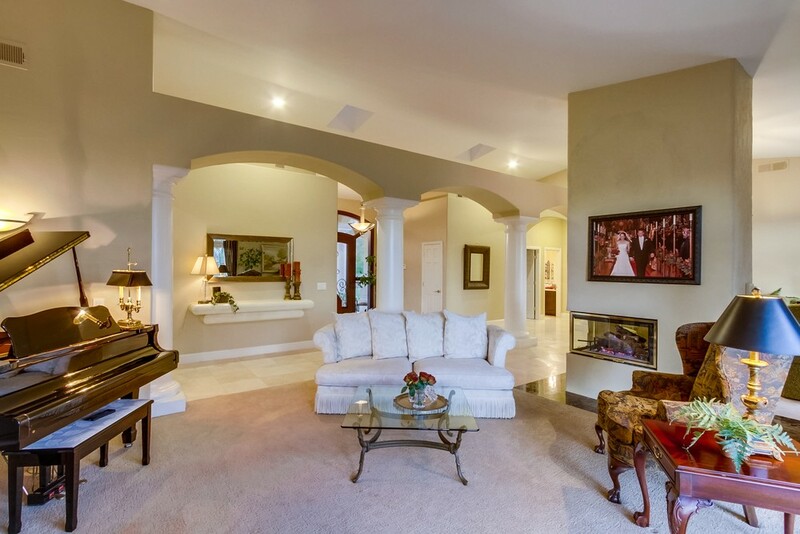 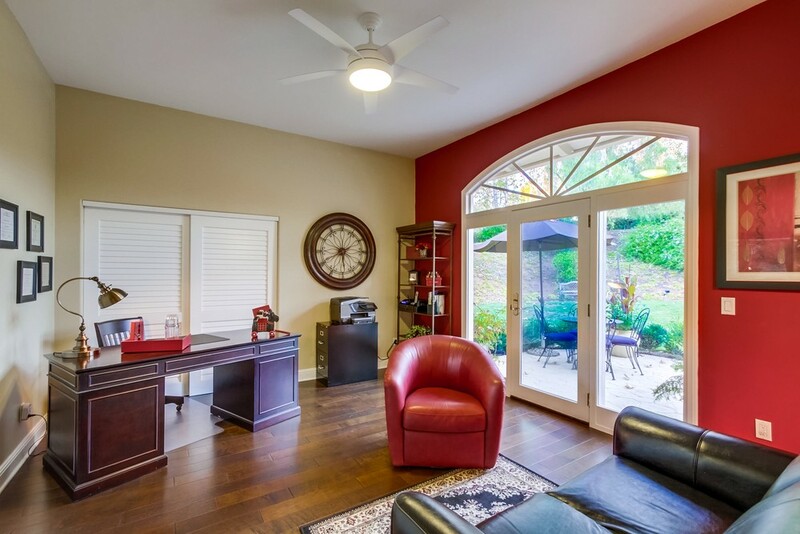 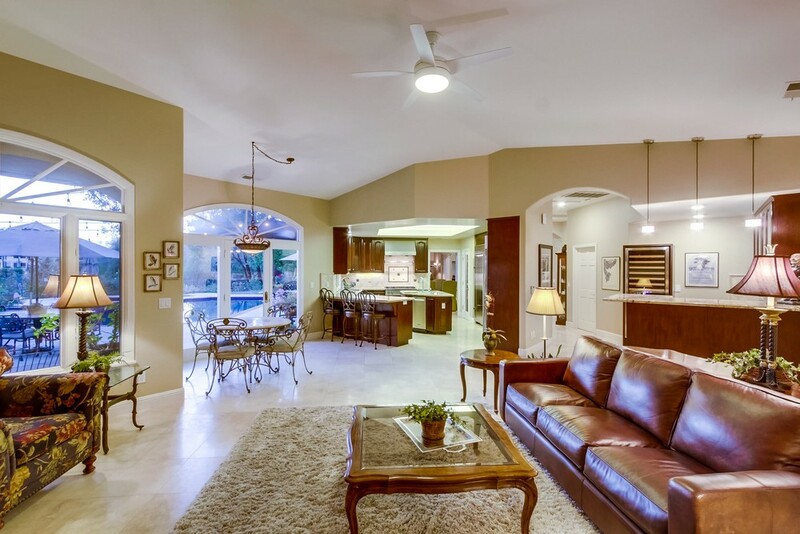 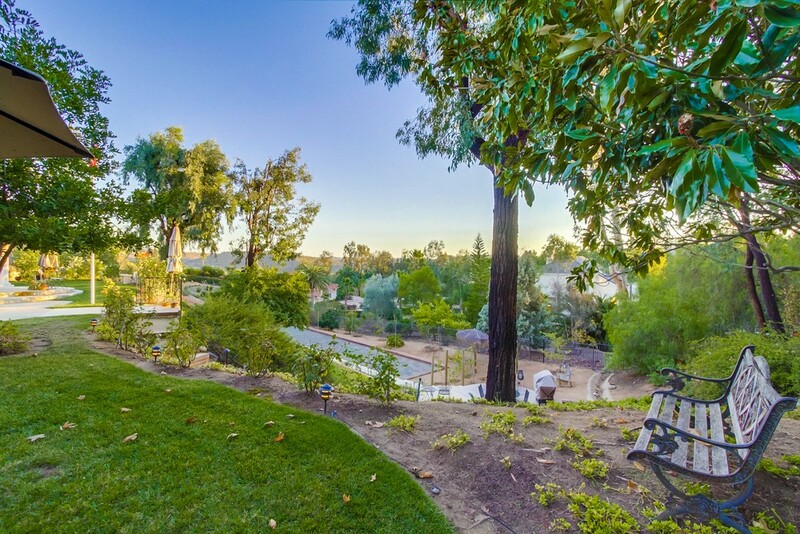 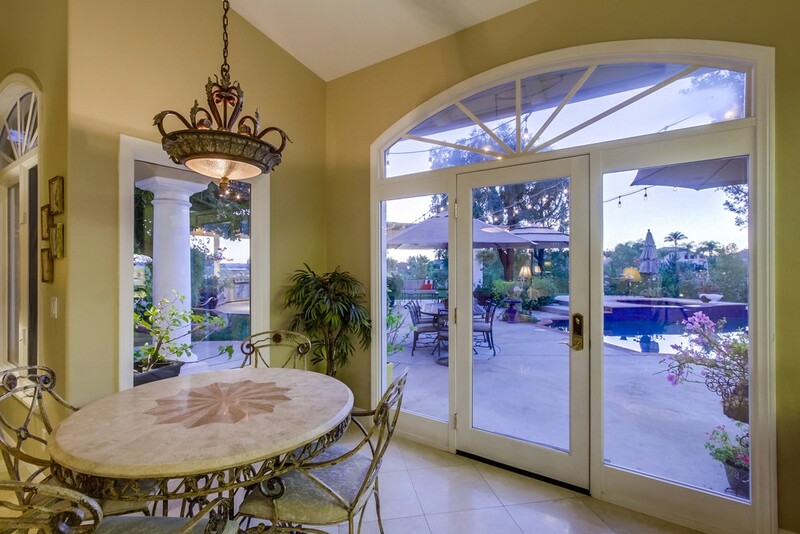 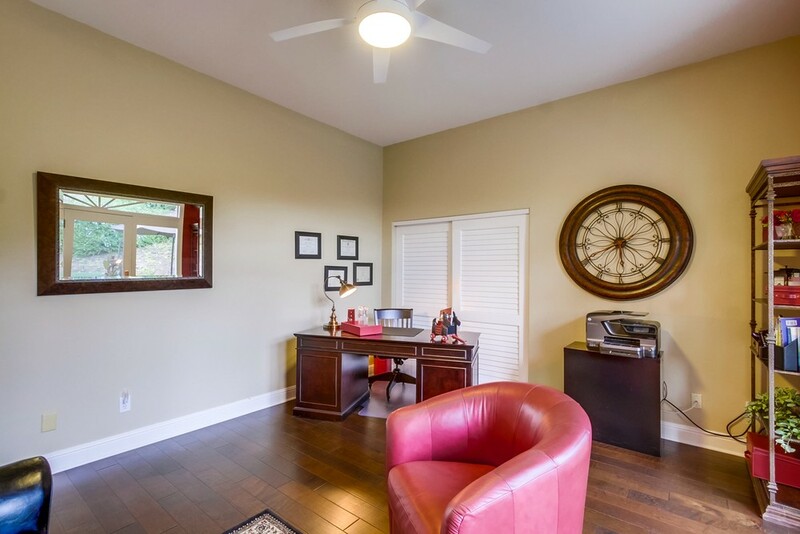 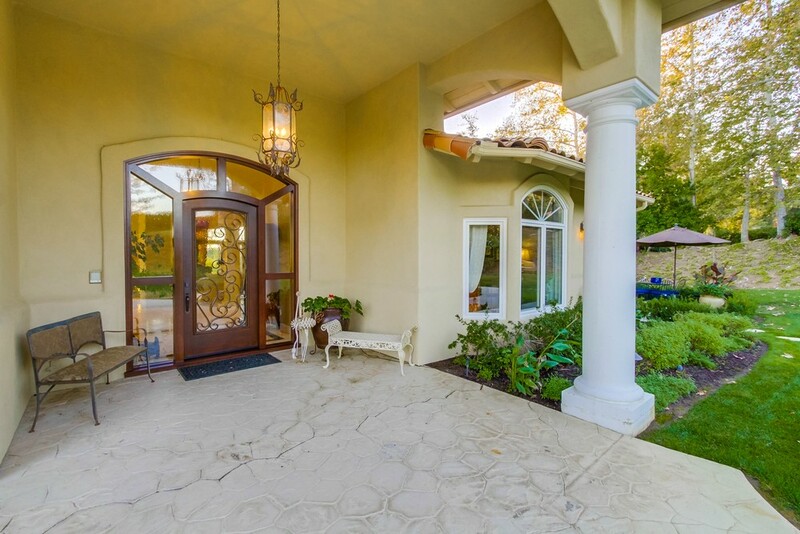 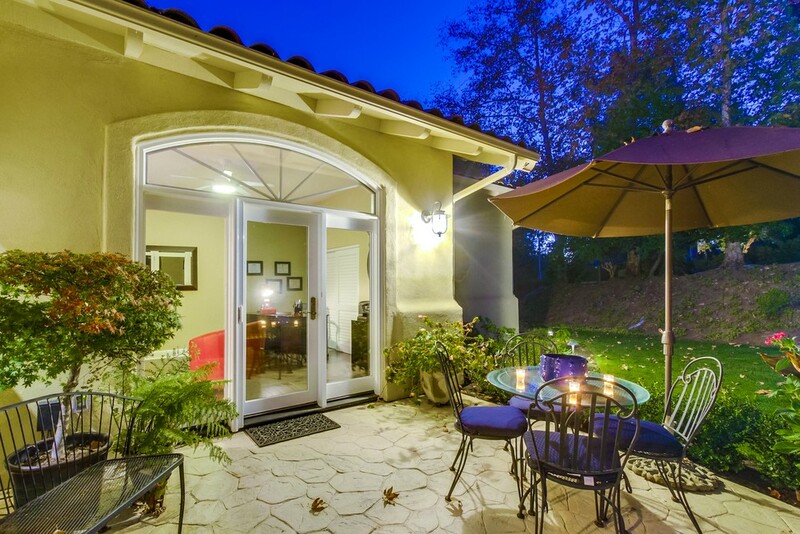 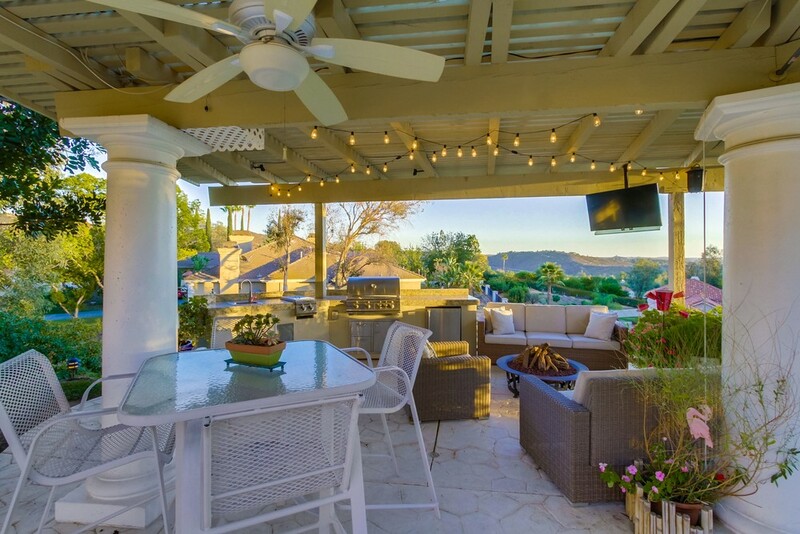 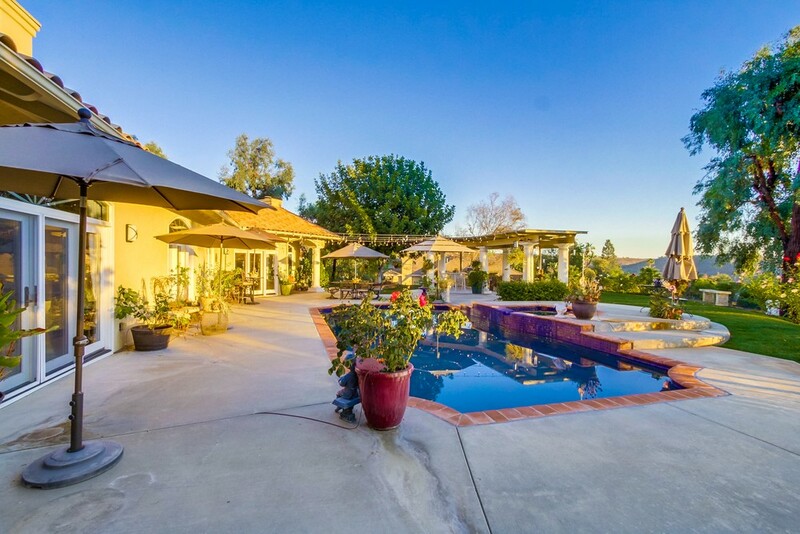 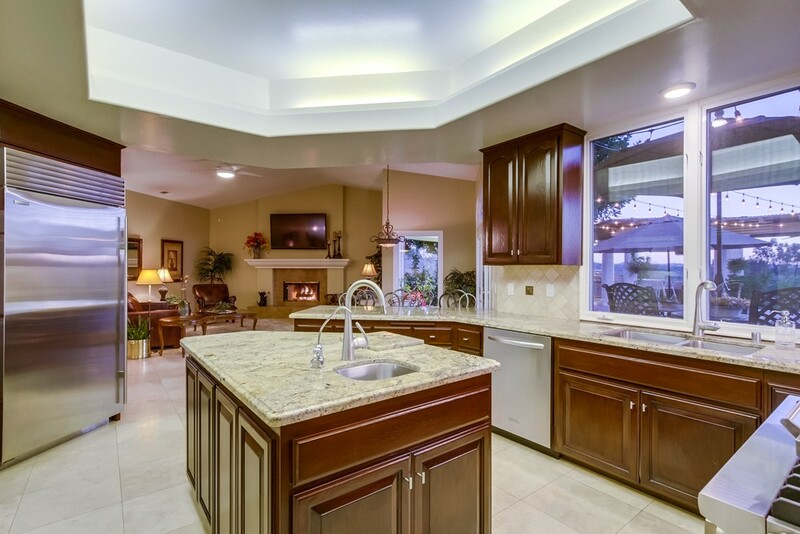 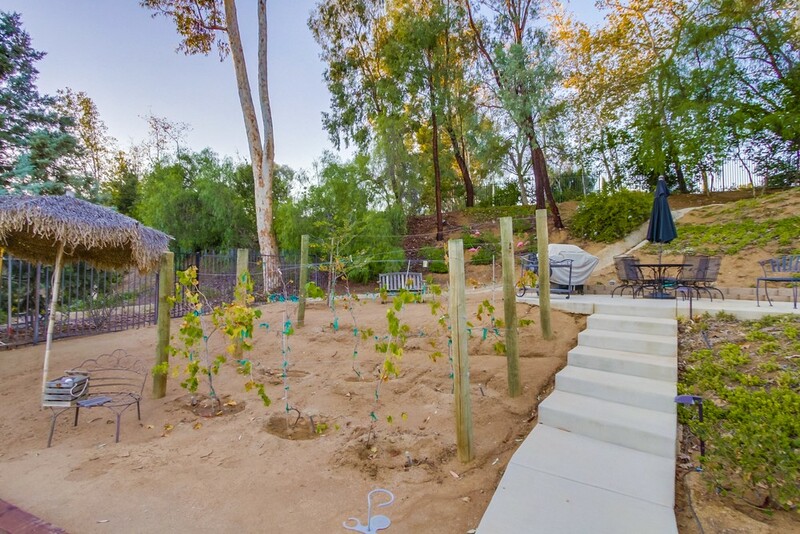 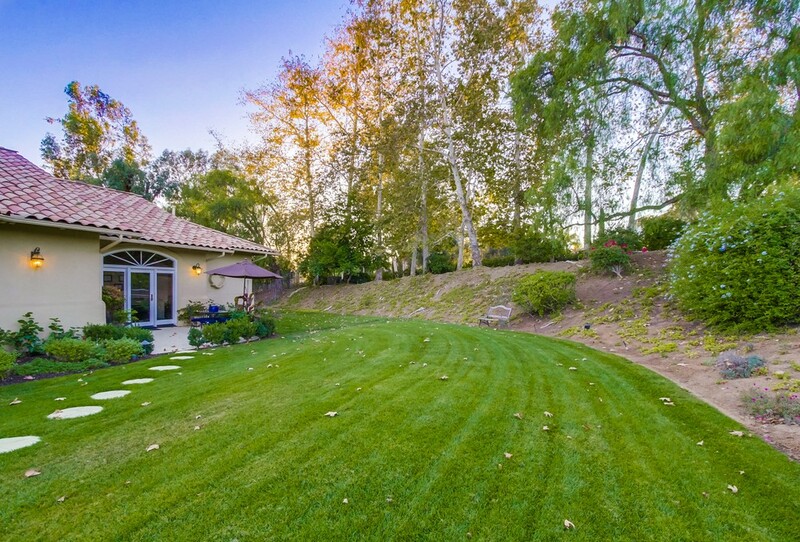 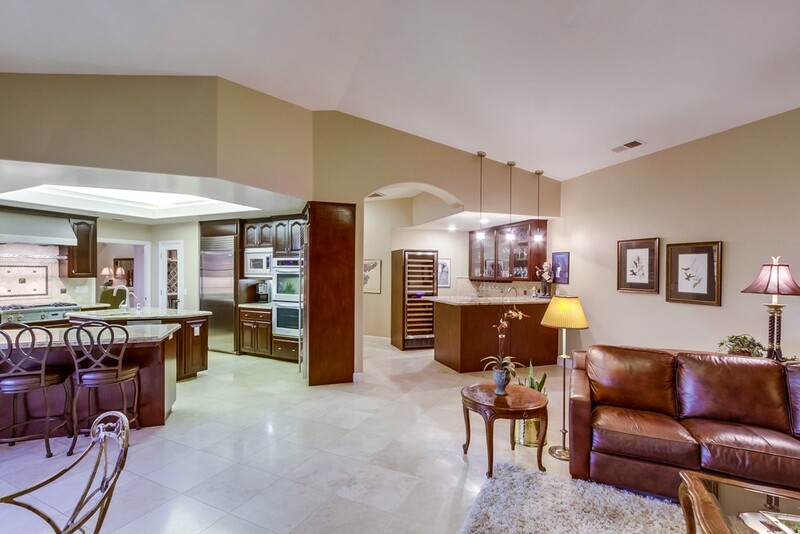 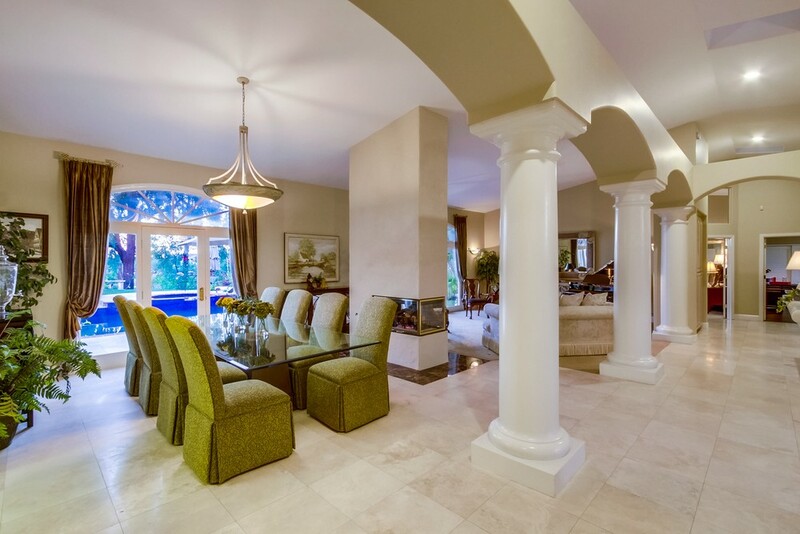 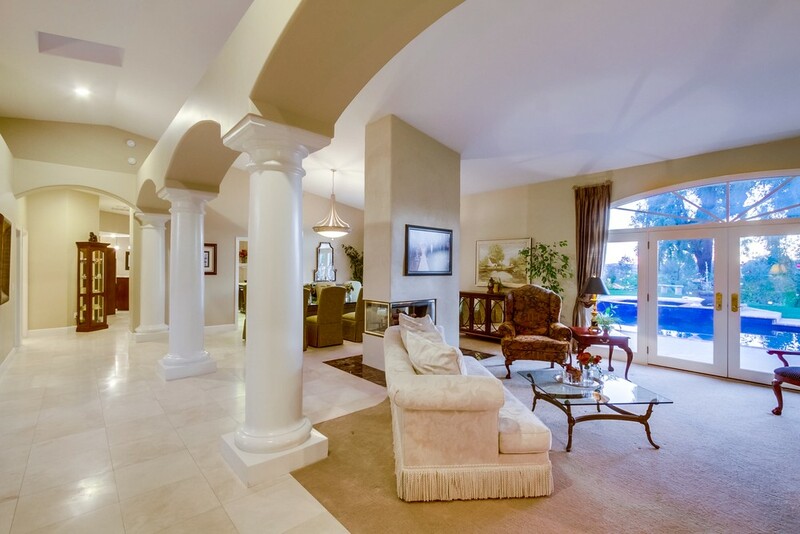 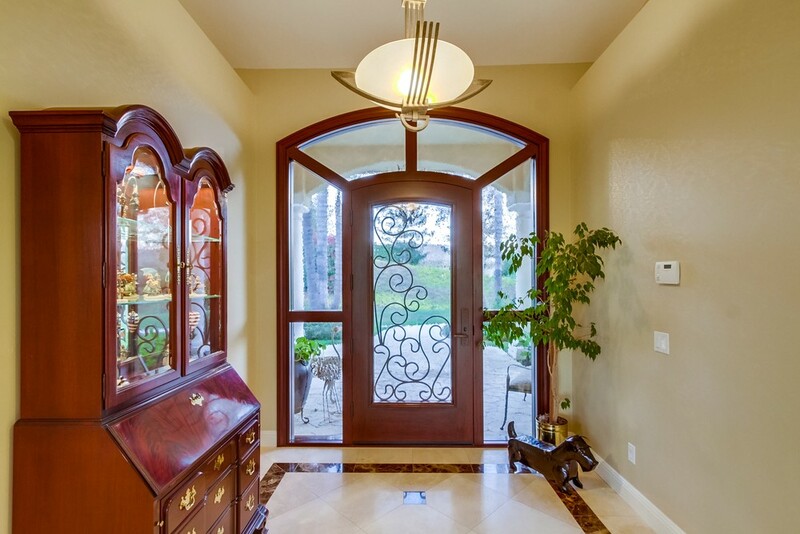 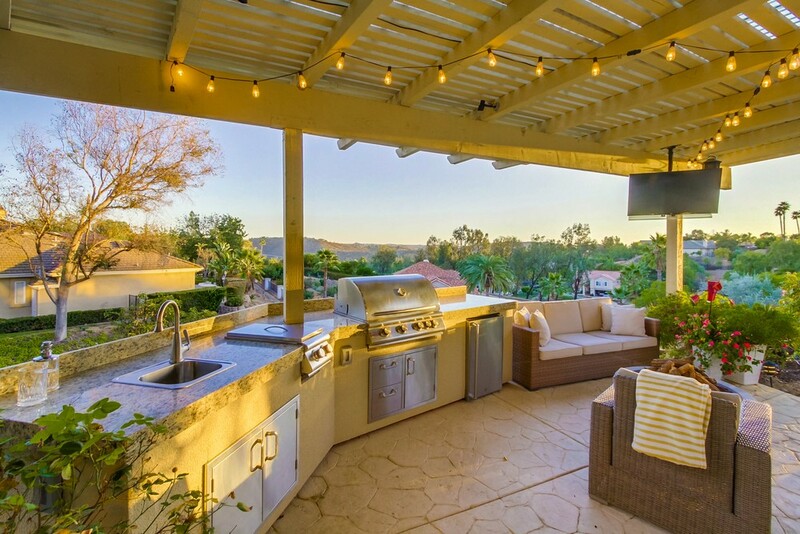 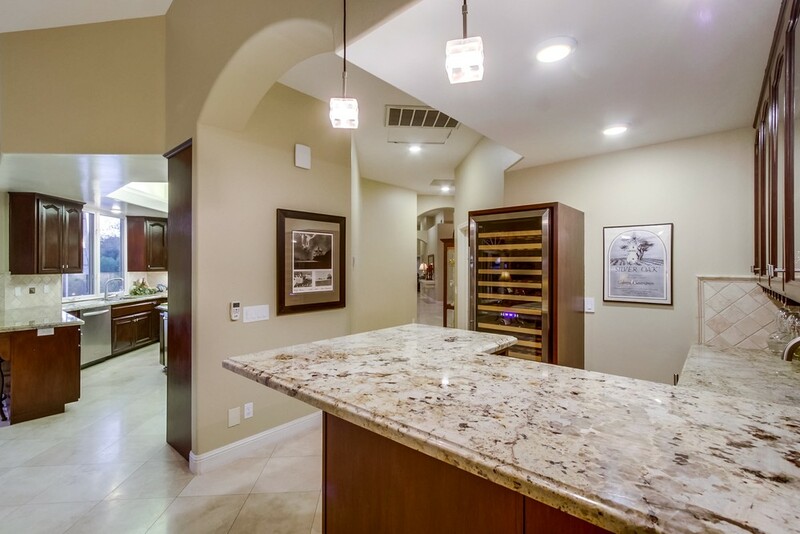 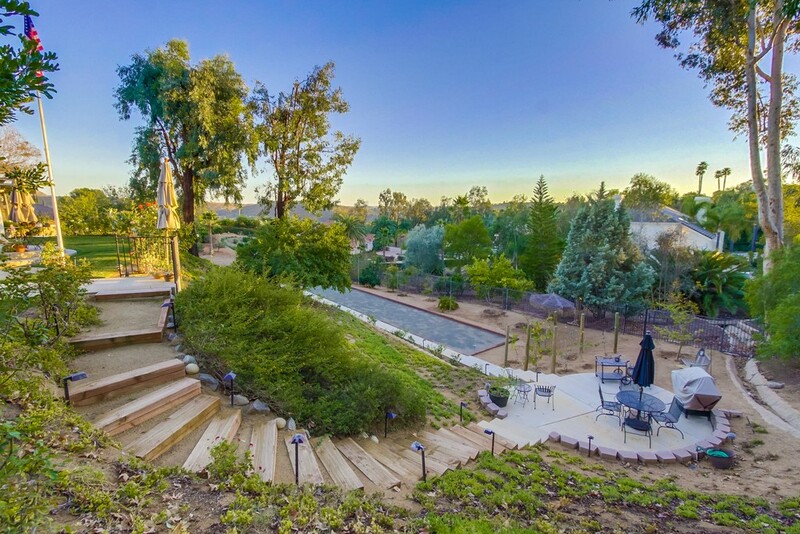 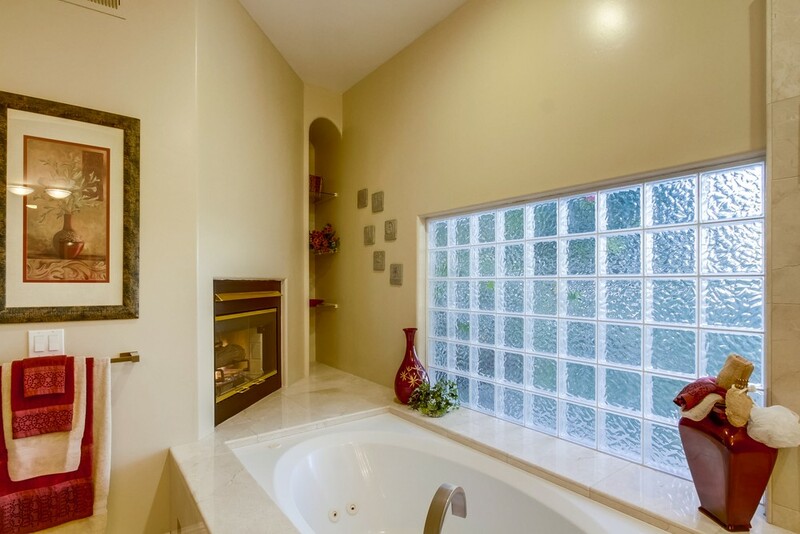 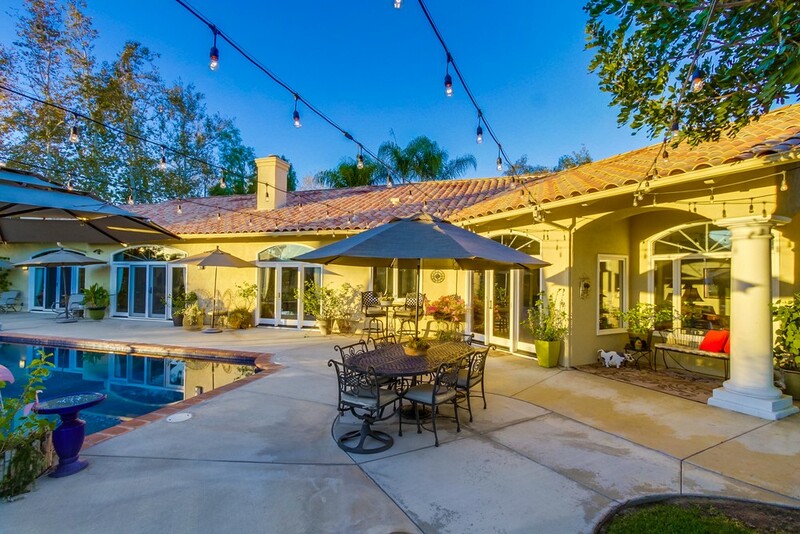 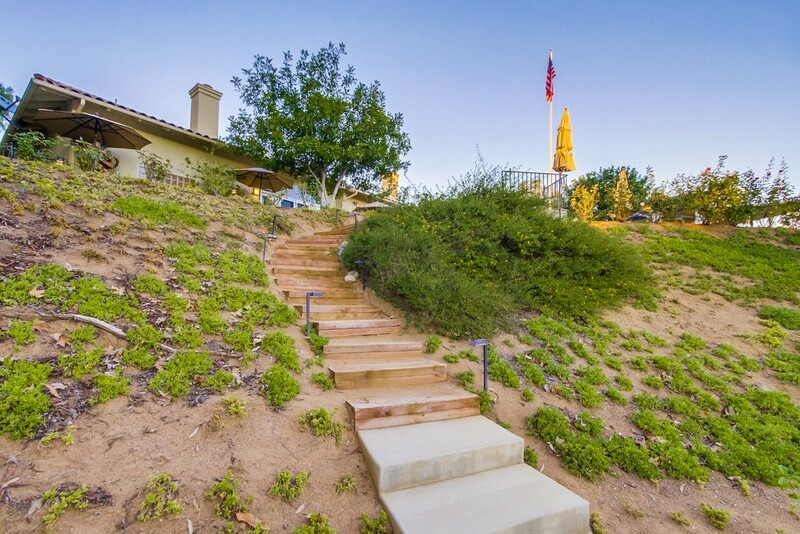 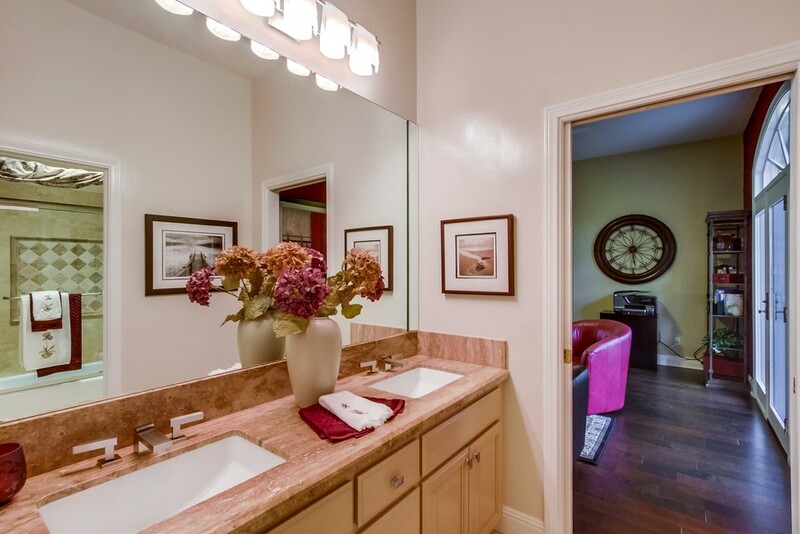 Exquisite single level home with no stairs in coveted Huntington Gate. 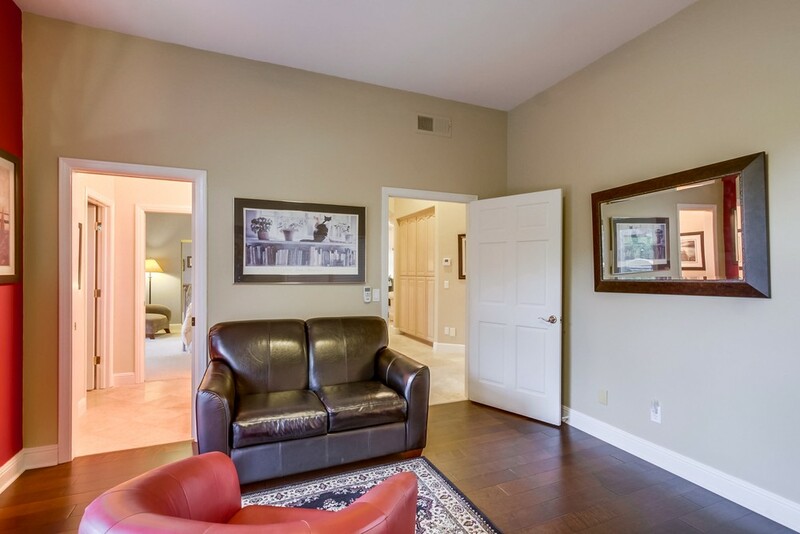 4BR/3BA, 3,626 est. 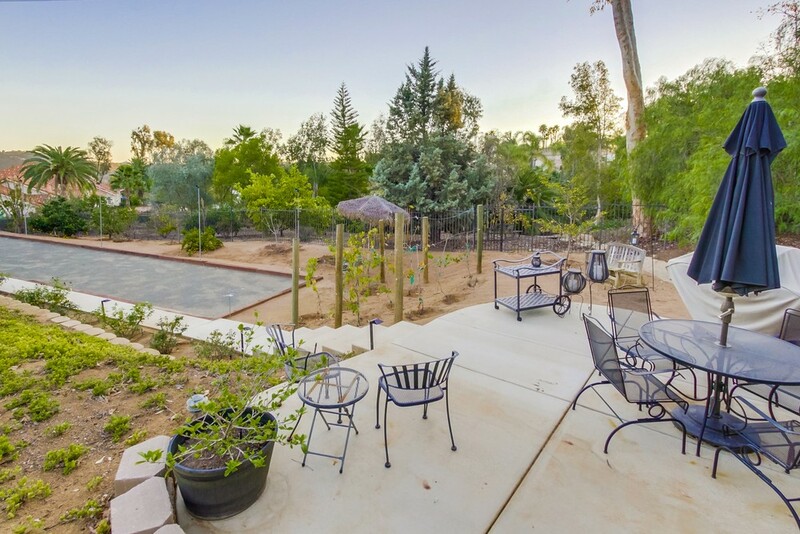 One acre lot. 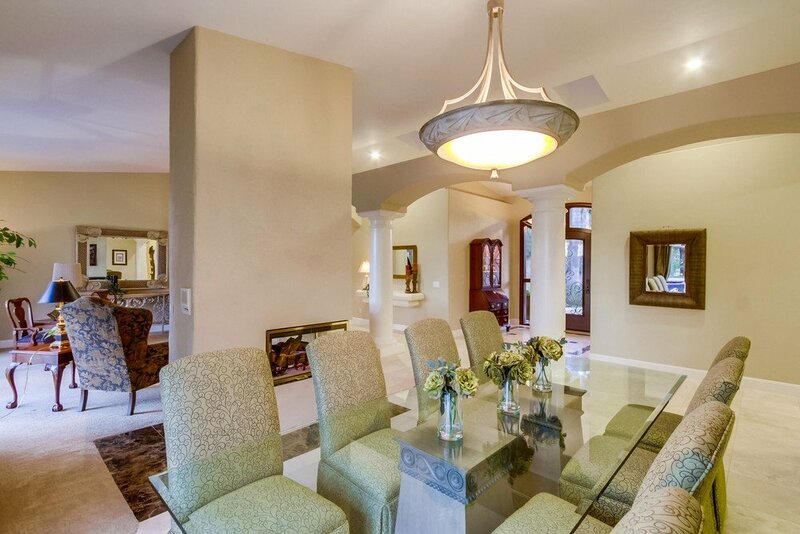 Beautiful finishes throughout. 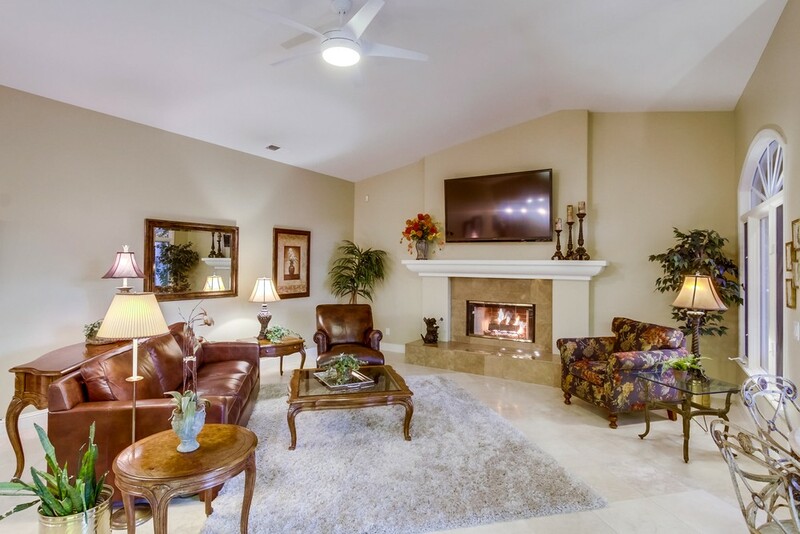 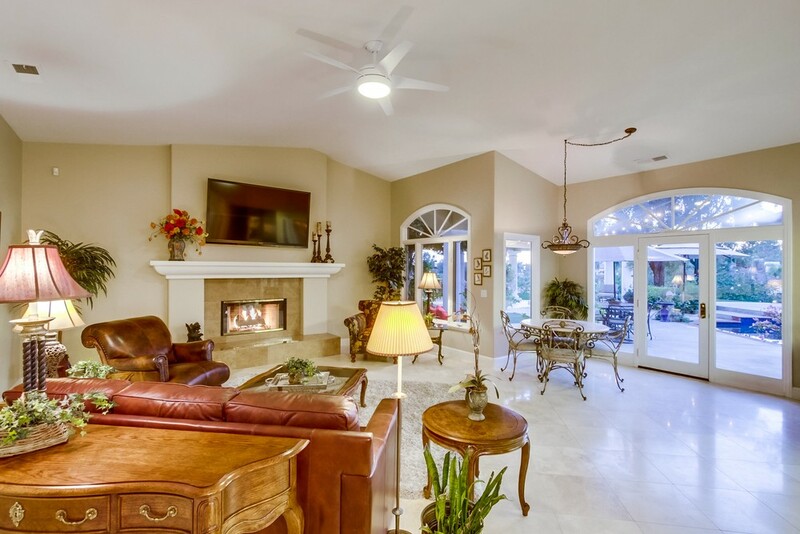 Formal living room with three sided fireplace, Family room with custom bar and 180 bottle wine refrigerator + under counter refrigerator. 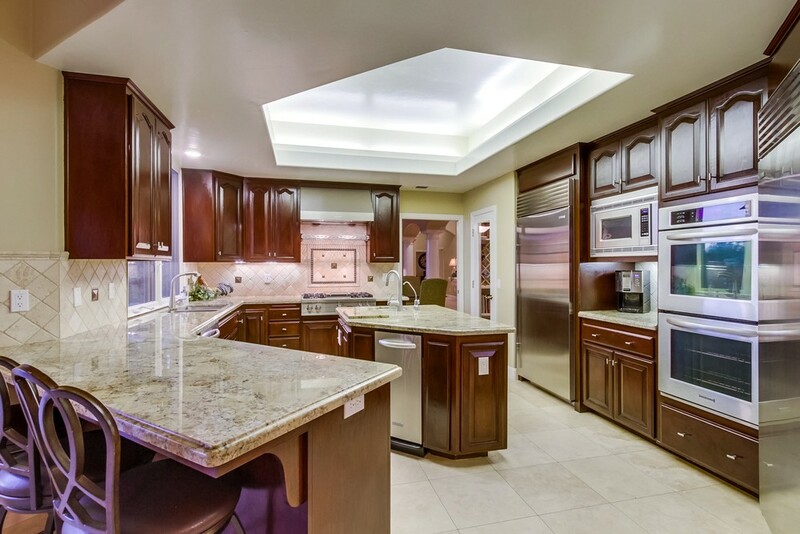 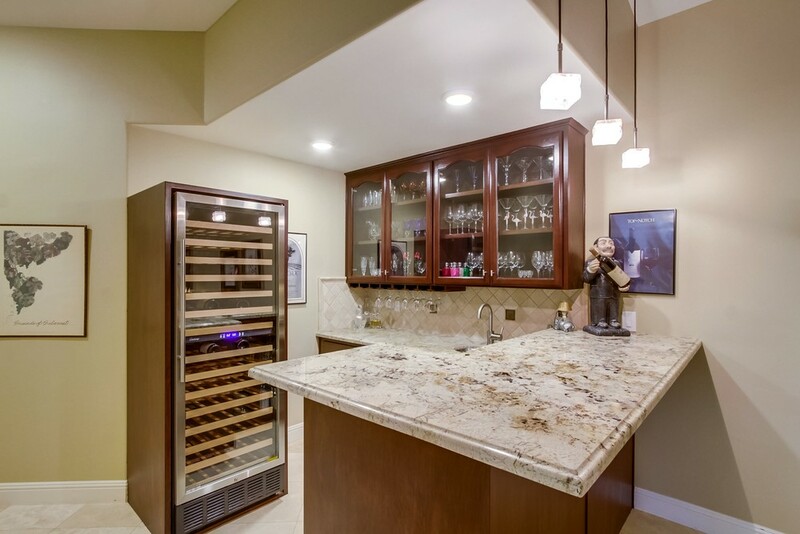 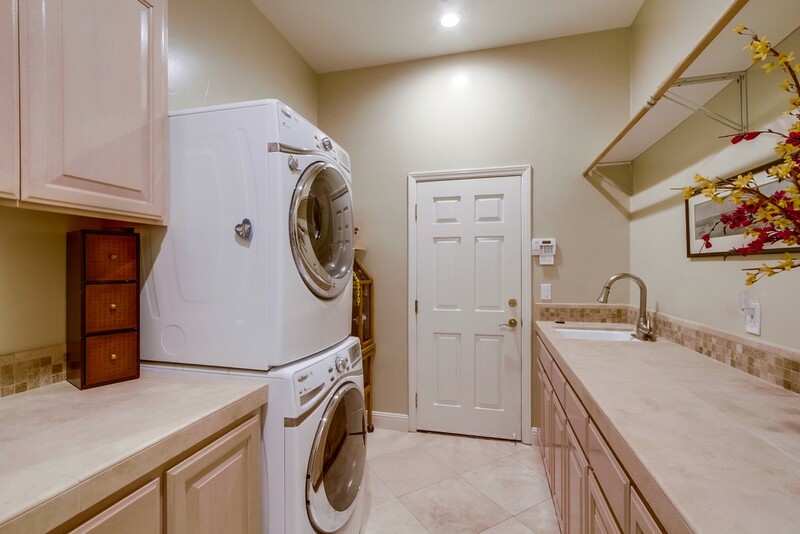 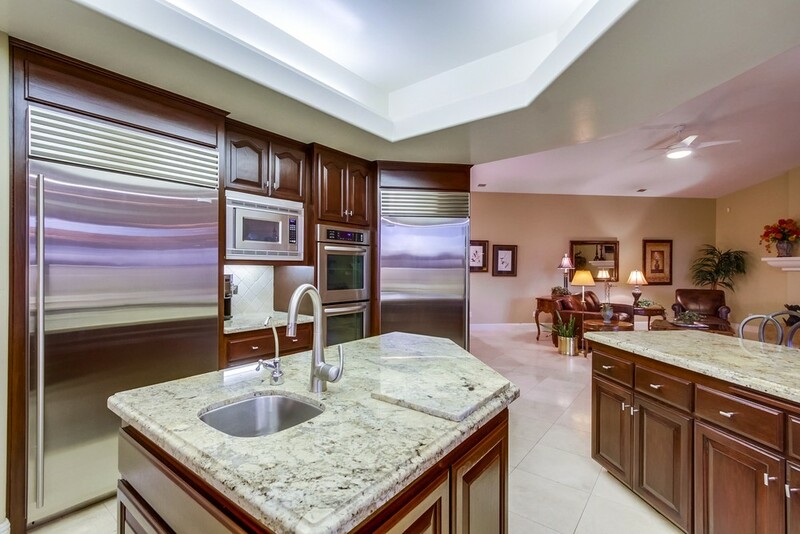 Gourmet kitchen showcases custom cabinets, granite, infra-red heating rack for plates, two Sub-Zero refrigerator units, Viking gas cooktop with center griddle, custom hood and walk-in pantry. 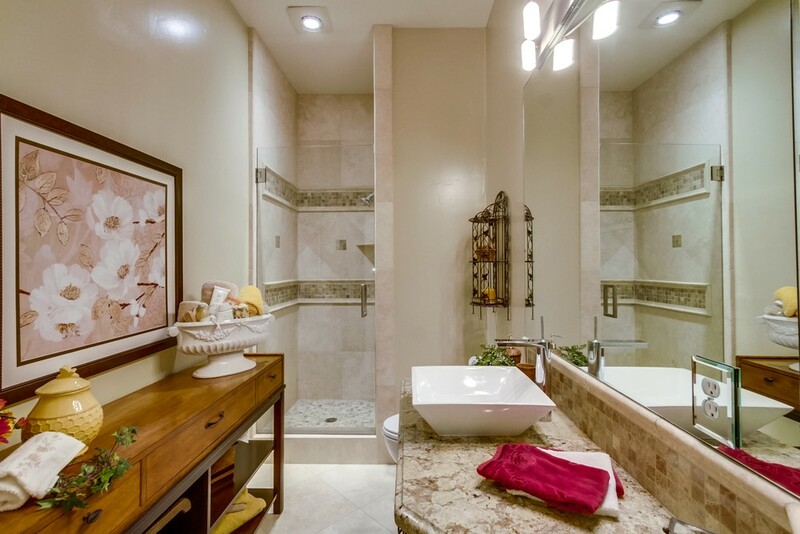 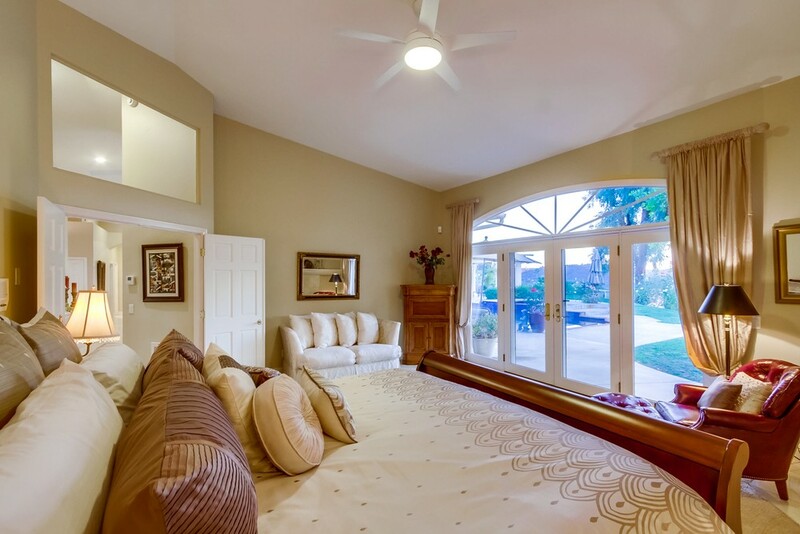 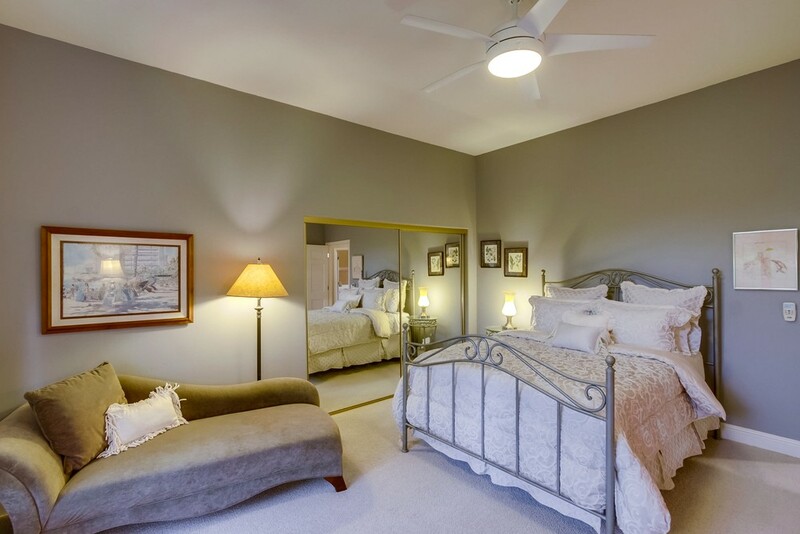 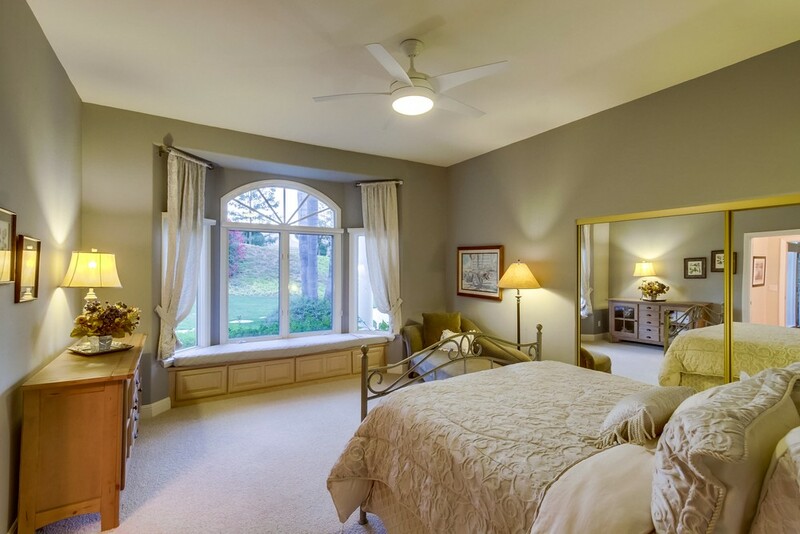 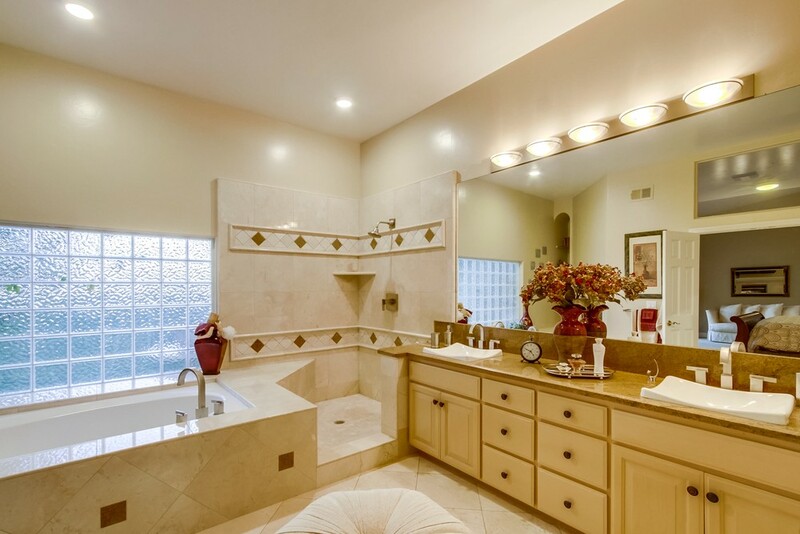 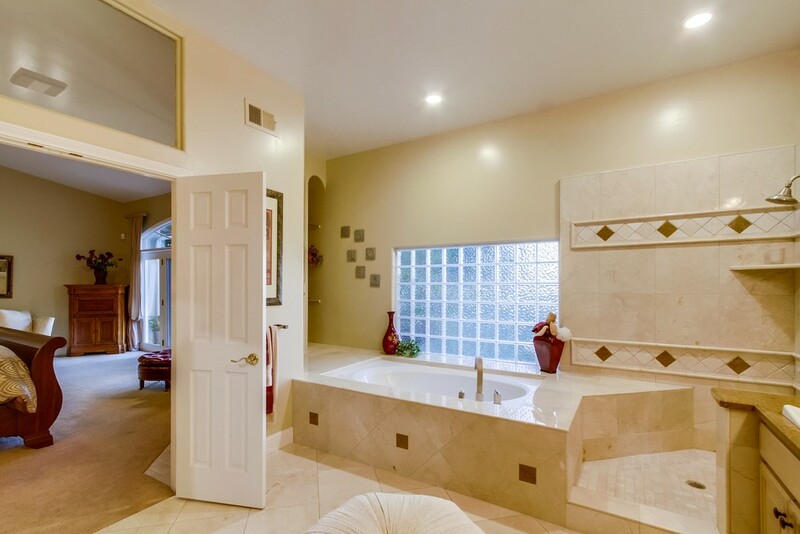 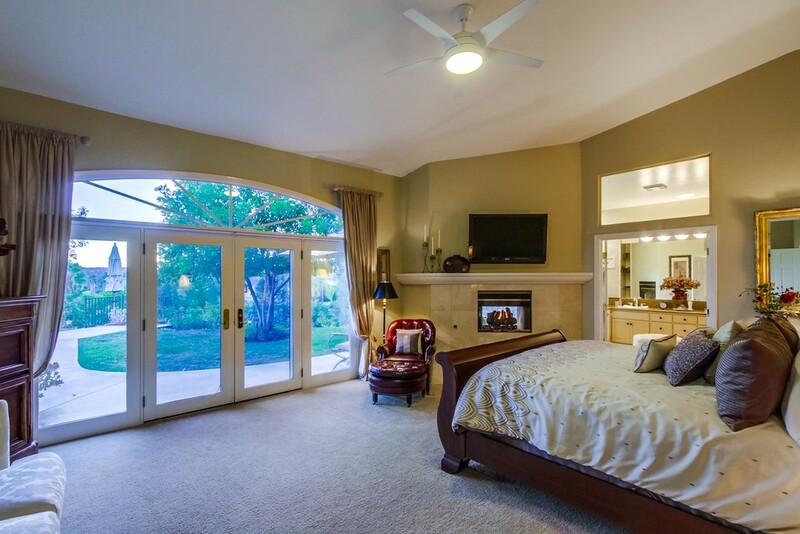 Luxurious master bedroom with spa-like ensuite bath. 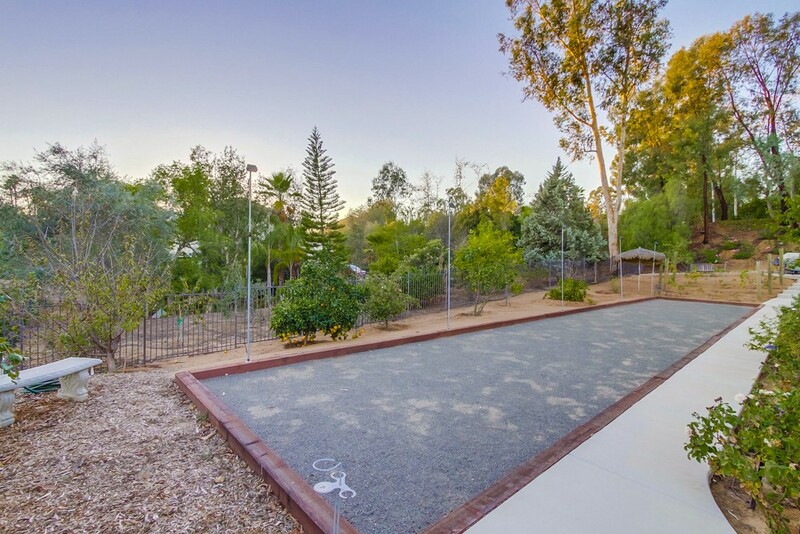 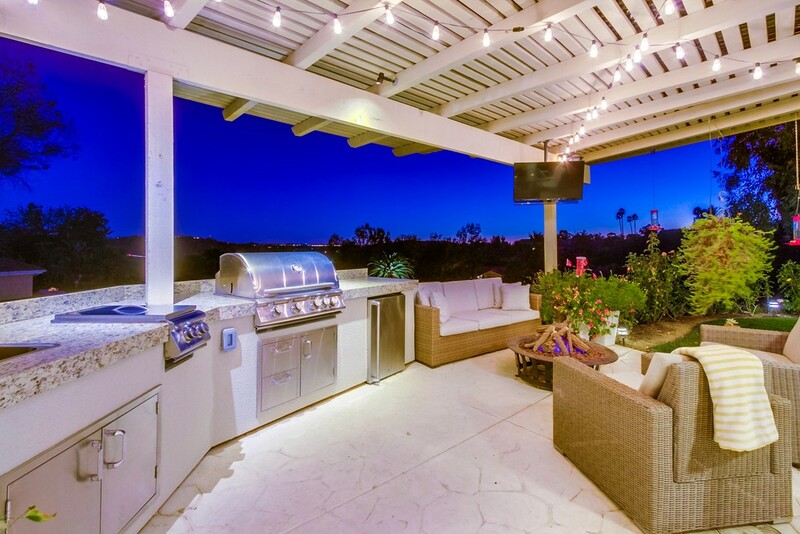 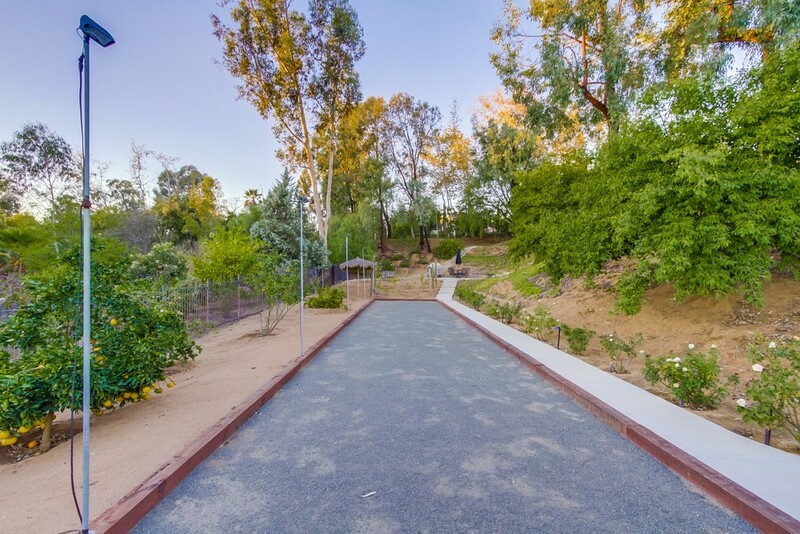 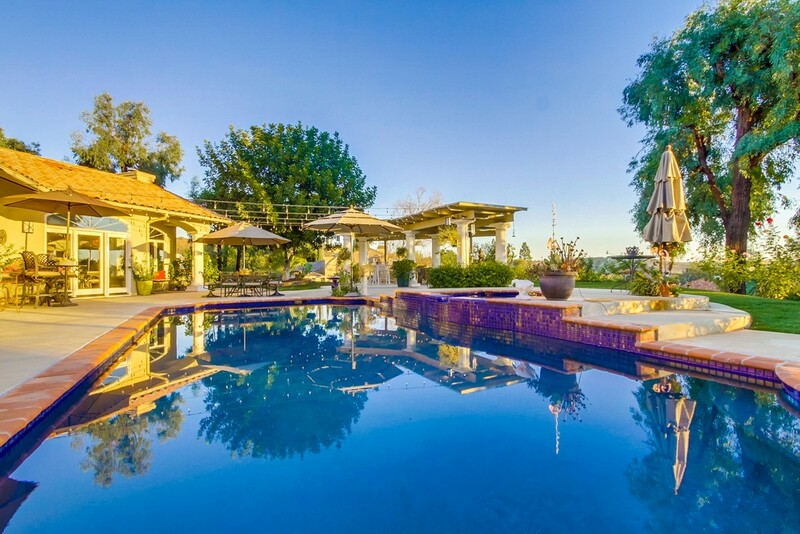 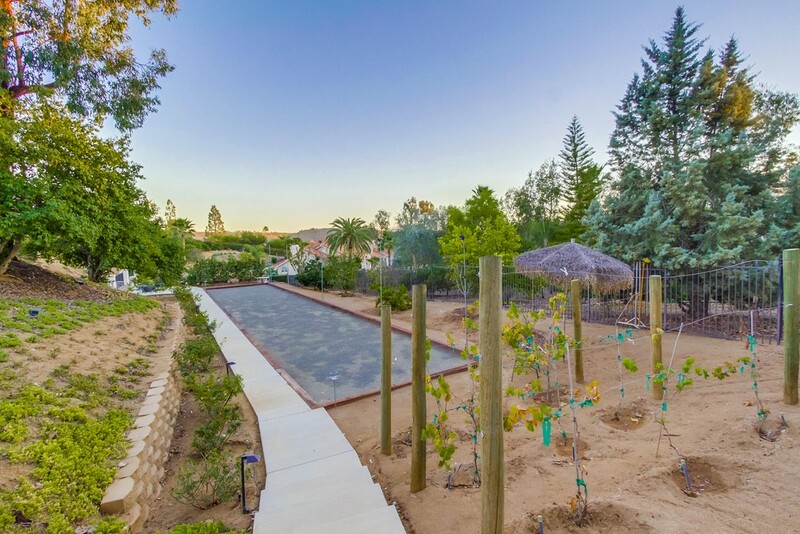 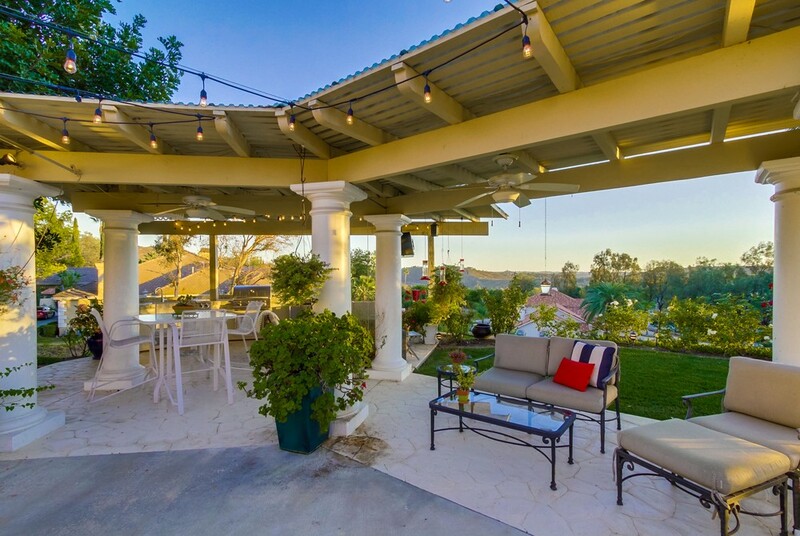 An entertainers dream backyard featuring a black bottom pool/spa, outdoor dining BBQ area, gas fire pit, bocce ball court and exterior lighting. 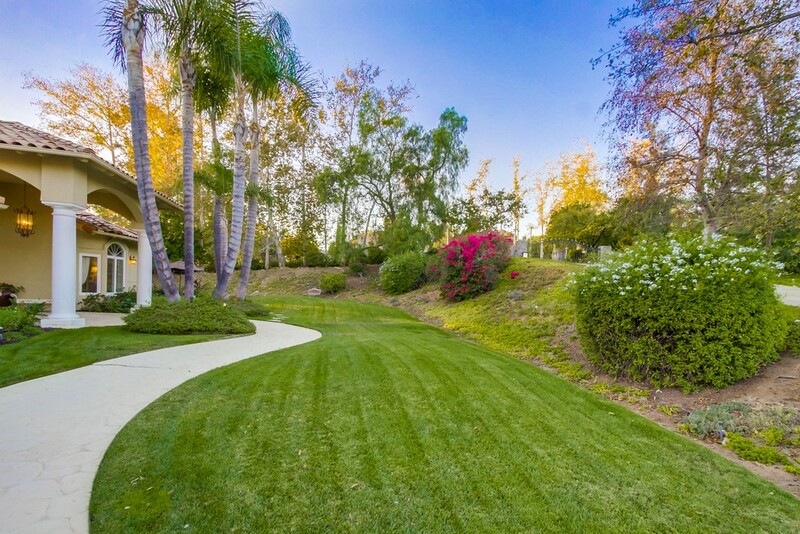 Impeccably maintained grounds. 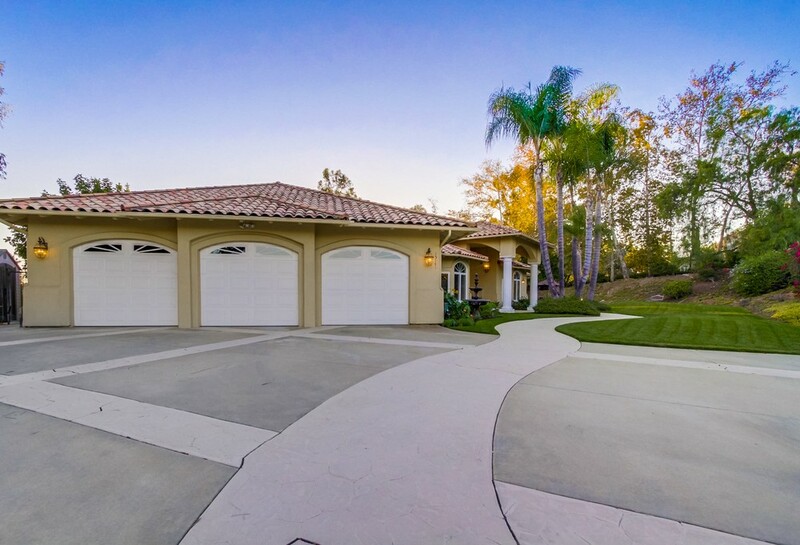 3 car gar with epoxy flooring. 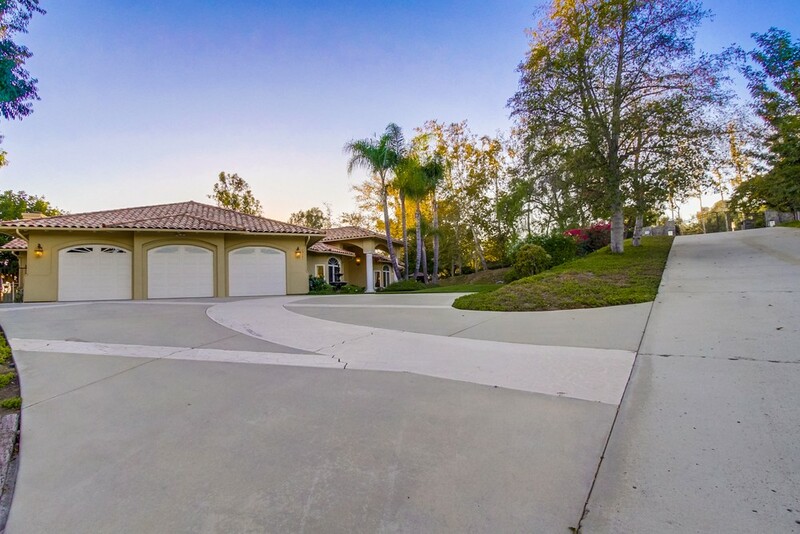 Located in the highly acclaimed Poway Unified School District.